You may find yourself restless, disorganized, agitated and impulsive. No, you are not high in drugs YET. You find yourself consulting a doctor who is also treating kids with ADHD or Attention Deficit Hyperactivity Disorder. Guess what? You also have the same disorder and you may prescribe with the same famous drug for ADHD in adults which is COCAINE. Well, actually, the drug Ritalin is the prescribed drug for ADHD but it is so nearly identical to cocaine that they are used interchangeably in medical research. Imagine giving your child the same drug as cocaine huh? This drug snuffs out vitality, curiosity and imagination and replace them with narrowly focused obsessive behavior. In other words, the drug turns you into a robot. There are many ways to control this ADHD behavior. One of which is food. It is advised that you eat at least every two hours to avoid hypoglycemia which triggers the symptoms of ADHD. 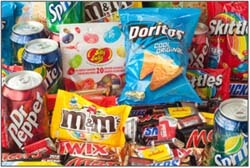 The primary fuel of the body is glucose, thus it is important to avoid getting yourself hungry. Eat breakfast, midmorning snack, lunch, midafternoon snack, dinner and bedtime snack. Include also some protein in your meal and healthy snacks. It is also advised to avoid high sugar foods such as candy, cake, pie and soft drinks as it pours excess glucose into your system thus releasing more insulin to lower glucose. In short, the more you eat refined carbohydrates foods, the more you depreive yourself of the much needed glucose. To balance the nutrients, it’s also important to include nutritional supplement in your system by taking the right vitamins and minerals. They improve the biochemistry of the body and the brain. Extra magnesium is also recommended to help calm the symptoms of ADHD. It is adviced that a daily supplement of magnesium is recommended. Check out the video below to find out How to Recognize Adult ADHD Symptoms. By the ay do not forget to read more articles from my health care site. If you like my blog, please help to spread the words. Have you cleansed your liver today? With the many chemicals in processed foods, supplements and medications that people take in nowadays, it is not surprising that our livers go on overload. The healthy and fully functional liver can now no longer efficiently process toxins and fats. Worry not though, for there are all natural liver detoxifiers that you can take to help to cleanse your liver up and restore your liver back to health. Green tea has antioxidants and a substance called catechins that can help in various liver functions. 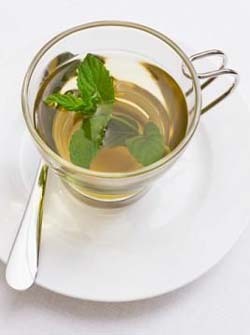 You can drink one to two fresh cups of green tea a day to help in liver detoxification. Garlic has selenium and allicin which can help in liver detoxification. You can eat garlic cloves raw or have them mixed in various food dishes. Make a fresh cup by letting seep one tablespoon of milk thistle seeds in three cups of hot water for around 20 minutes. You can consume up to 3 cups of milk thistle tea in a day to help detoxify your liver. Combine 1 teaspoon of turmeric powder to 1 cup of hot water and take it before bed time and before meals. You can also add in honey or sugar to improve the taste. Limit your turmeric tea consumption to up to three cups in a day. Make fresh grapefruit juice by squeezing out extract from grapefruit and combining it with water and honey. Grapefruit can help flush out toxins and several carcinogens. Hope you like these liver detoxification few tips. Make sure you read more from my blog site at Natural Health Care Reviews. Mouth ulcers are shallow ulcers that appear in the mouth. Ans some people refer it as canker sores. They can be very painful and disturbing – disrupting normal eating and drinking of many individuals around the world. They can be distinguished from cold sores by their appearance which is usually round, in white or grey color and with a red border around it. It usually occurs in the tongue, the roof of the mouth, the cheeks and almost anywhere inside the mouth. There are many causes of mouth ulcers ranging from lifestyle to nutritional deficiencies. Here are a few good ways to prevent having them. Eat a well balanced diet. Most mouth ulcers occur due to lack of proper vitamins and minerals – usually vitamin C, vitamin B complex and folic acid. Make sure to include fruits and vegetables in your diet to help prevent or minimize the occurrence of mouth ulcers. Maintain good oral hygiene. Mouth ulcers can be prevented by regularly brushing the teeth with a good tooth brush. Make sure to choose a good brand of toothpaste too, as some mouth ulcers can be caused by allergies or irritation due to the chemicals or ingredients found in toothpastes. The same thing goes with choosing tooth brushes as some kinds may not be soft bristled and thus, damage the mouth tissues. Learn how to manage stress and how to cope with problems. Some mouth ulcers are caused primarily by stress. Avoid eating too much spicy foods as these kinds of food may irritate the mouth tissues. Visit my website Natural Health Care Reviews for more articles. Good Snacks are something we always crave for. I am no execption. I like to eat snacks as well during spare time. 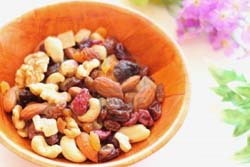 Eating the right healthy snacks provide us carbohydrates, iron and other essential nutrients and also keep our energy up while on the other side there are certain snacks which are heavy in fat and have less nutritional value. Just like what we usually bought “potato chips” at grocery stores. Who would not like to incorporate the healthy snacks in his or her diet and refrain from the bad ones? Listed below are those healthy snacks which are not only rich in nutritional value but would also assist in shedding some pounds off your body. 1. Plain or Low Fat Yogurt. Plain yogurt is among the top ones in the list of healthy snacks. It is low in sugar, a cup of which contains around 150 calories. It is one of the healthiest foods and is a good source of calcium and protein. For flavoring we can add some fruits like strawberry or blue berry (good anti oxidants which protect your heart). It also keeps your blood sugar and insulin levels at balance. 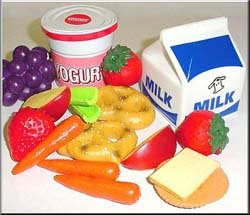 Try picking yogurts that are low in fat and you will be munching on the best of healthy snack. 2. Vegetables. These are one of the best healthy snacks you can get with good levels of fiber which not only is good for digestion but also keeps your cholesterol on check. Carrots, frozen peas and corn are a good option so is celery. Vegetables like cabbage, broccoli, beets and asparagus are high in fiber, make your stomach feel full and satisfied and thus reduce your hunger, leading towards weight loss. These qualities surely make vegetables as one of the super healthy snacks. 3. Fruits. Fruits are a gift from God and rank high among healthy snacks. Full of vitamins and other essential minerals these apart from providing us the sweet flavor also can help keep one’s weight under watch. These can be eaten raw, mixed in a salad or part of a healthy snack. Frozen fruits also taste good and retain their nutritional value. Eating fruits increase volume and lessens calorie density and you can have the flavor of the best healthy snacks. 4. Soy Chips. Soy chips are an alternative to potato chips. So all of you who have stopped munching, start again! this time with soy chips. These are not only full of proteins and fibers but are also low in fats which surely give it a high ranking in healthy snacks. Recent researches reveal that soy chips pluck the weight from our fats and not from our muscles. 5. Go Nuts !. These are effective anti oxidants, meaning by that these are really good for heart and reduce the risks of chronic diseases. Nuts are one of the best healthy snacks and are rich in proteins, fibers and omega 3 fatty acids which help fight bad cholesterol and blood pressure. These are relatively high in calories so you might want to stick to lower quantities of nuts. They can also be consumed by combining them with other snacks such as yogurt to make a tasty combination. Just by incorporating the above mentioned snacks in your diet, you can keep a check on your weight and also quench your munching desire. These healthy snacks can be eaten as they are or can be combined together as per taste to make endless combinations. Just by eating the healthy snack in the right proportions guarantee you a healthy life and a weight that’s under your watch all the time. So when next time when you go to grocery store, check your shopping cart if you have grabbed some “Frito Lay” potato chips and put into your cart. Try not to buy them as they are NOT a healthy snack! Share this article with someone you care about their health. To find out more articles, visit my blog site at anytime.